Never has this master of farce been frenetically funnier. Get ready for a wild ride on the comedy express! 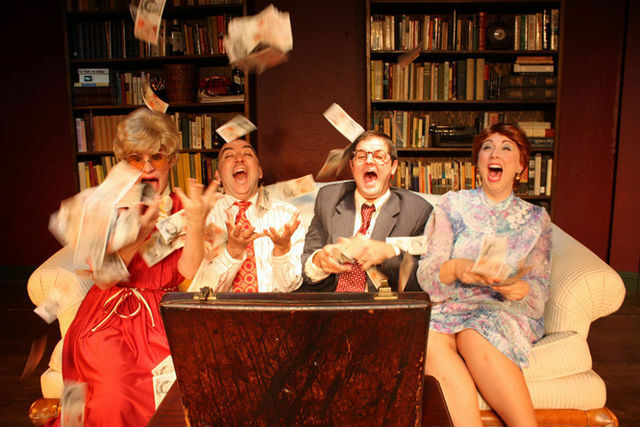 This fast paced, door-slamming farce will elicit unstoppable laughter. 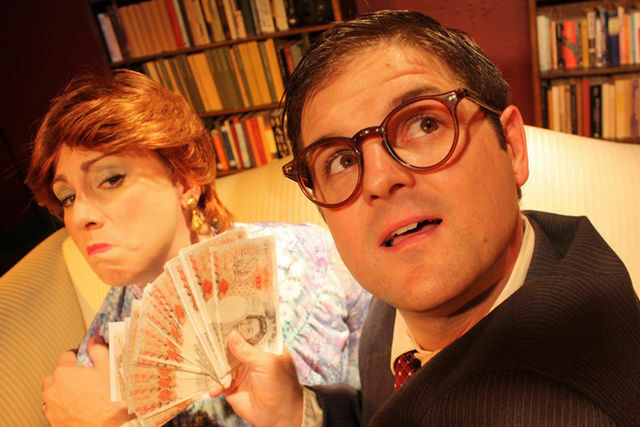 Henry Perkins (Stephen Frankenfield) finds himself with a bad guy's briefcase full of cash! Henry decides to keep the loot , heads home, and tries to persuade his confused wife (Jodi Rankin) to leave their life behind and move to Barcelona. Enter two detectives (Michael Woodson and Peg Peterson). One accuses him of solicitation in the neighborhood pub and the other accuses him of being dead! And to tangle the web even further, enter Vic and Betty Johnson (Keith Wick and Holli Henderson) who have arrived late for Henry's birthday celebration. An evening of hysterical laughter for all audiences!